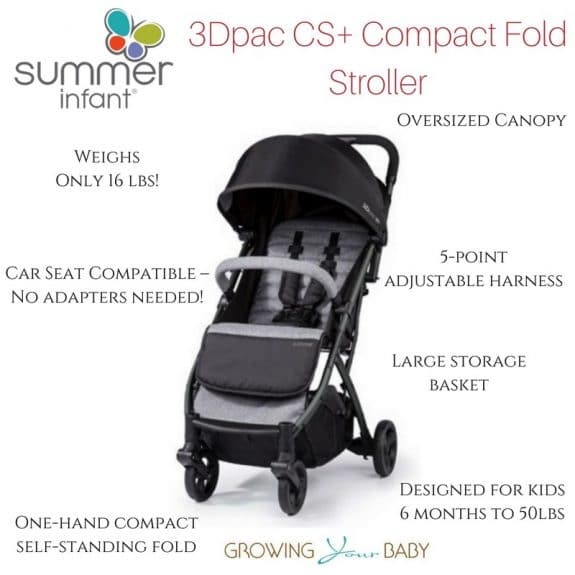 Summer Infant’s new 3Dpac CS+ Compact Fold Stroller offers parents full-sized features in a compact package. Out of the box I’m happy to report all you need to do it pop on the 4 wheels. In under 5 minutes, you can be off to the park! 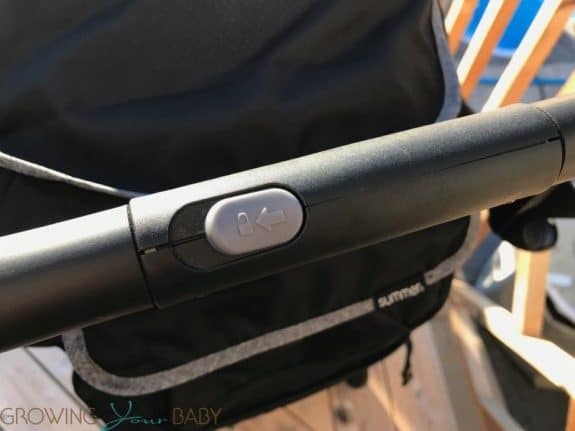 From birth, this stroller can be used with your infant car seat without any adapters! 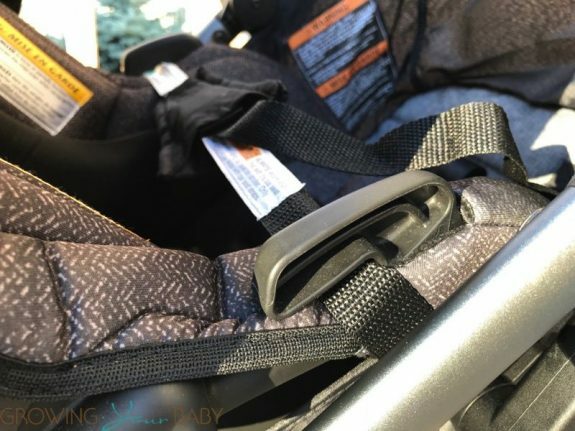 The connectors, which are tucked away in the pockets on either side of the seat connect together through the belt path at the front of the car seat. 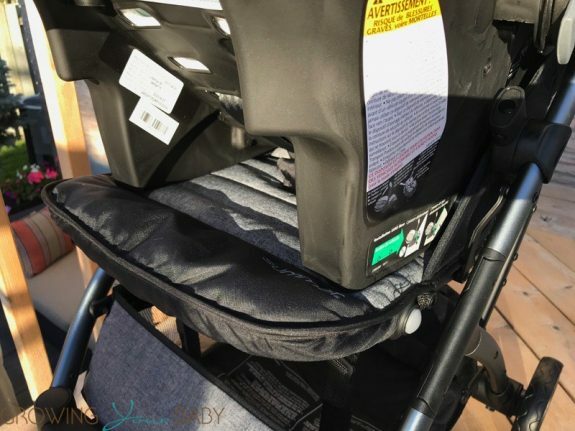 This connection method allows a parent to use any model of car seat that has a belt path with the stroller. 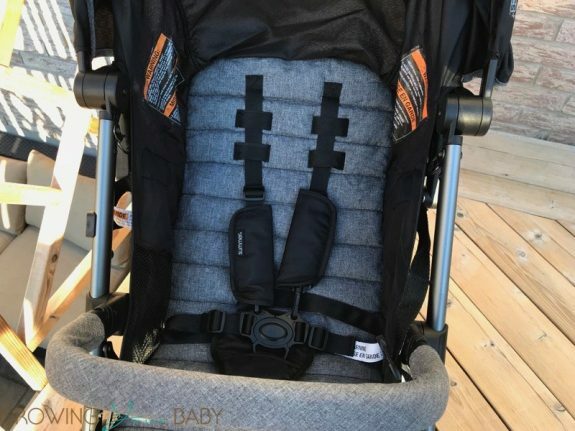 Just flip the calf rest up, pop the car seat into the stroller’s seat facing you, connect the straps through the belt path and tighten. 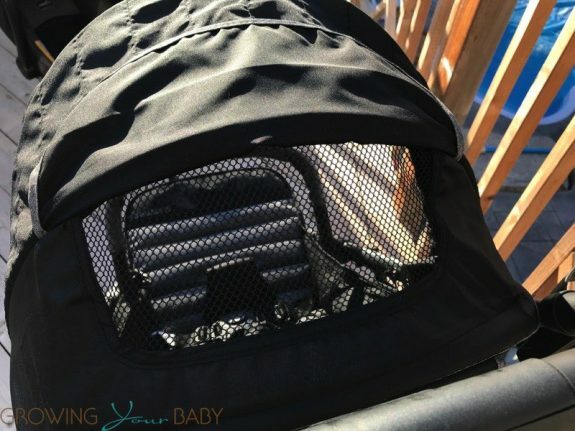 It’s easy to do and very convenient for parents who want to travel with their infants but don’t want to haul a large stroller with them. When your baby is 6 months+ they can sit directly in the stroller’s seat. For their safety, there is an adjustable 5-point harness that is easily configured to their height. When your child is smaller you can adjust the calf rest up to support their legs. As they get older it can be pivoted down so they can rest their feet on the footrest. 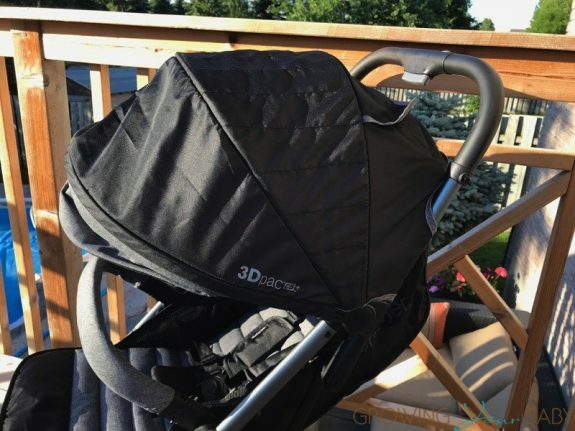 To keep your baby protected on sunny days the 3Dpac CS+ has a good sized canopy with flip-out sun visor. Summer Infant has added a peek-a-boo window and a small pouch for storage. The stroller also comes with a cupholder and an electronics pouch that we think is also perfect for holding fruit squeeze pouches. Kids can also keep their snacks or toys close with the seat pocket. 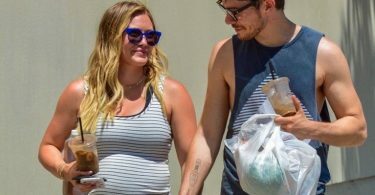 The shopping basket under the stroller is big enough to hold a good size diaper bag and some snacks for your day out. I would not, however, pack it too heavy for fear it could drag. The push on the 3Dpac CS+ is smooth and easy through busy areas. 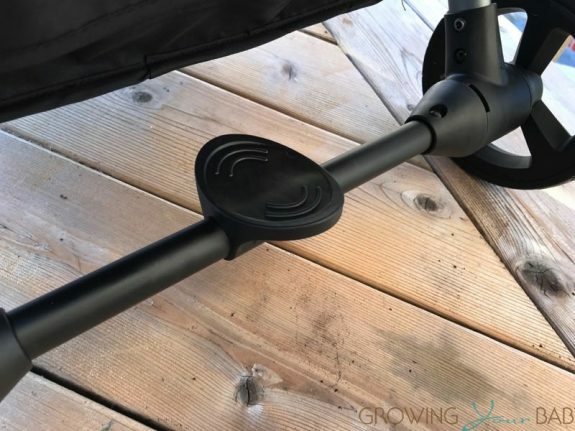 Summer Infant has given this stroller a molded handlebar that allows you to push it one-handed. This is a godsend considering we spend so much time carrying an unhappy child while pushing the stroller back to the car. 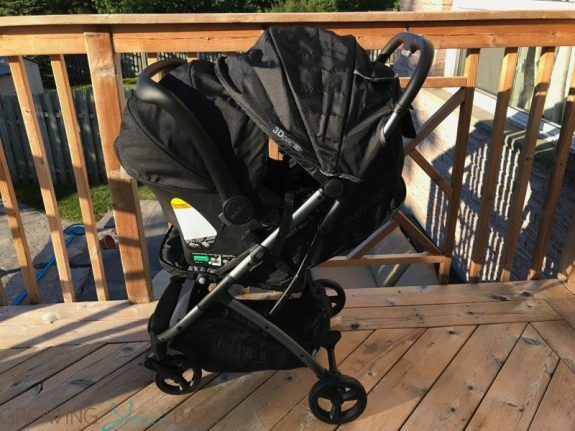 Summer Infant has also added front wheel suspension to help absorb uneven or bumpy terrain. Parents also have the option to lock front wheels as well. The 3Dpac CS+ has a central brake on the back of the frame in between the two wheels. One of the best features of this stroller is its fold. By just sliding the switch on the handle and pressing the button underneath, the frame collapses like an accordion into one/third the size. 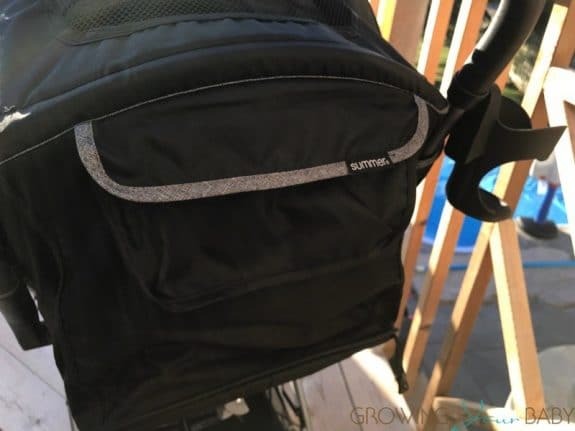 It also has a frame lock to ensure it will stay closed and a strap to allow you to easily transport it with a child under your arm. 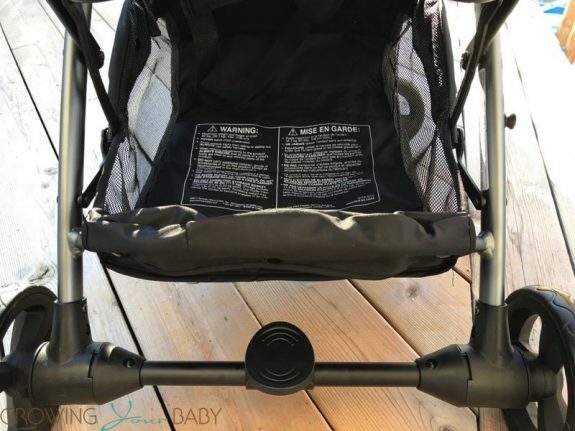 For $150 the Summer Infant 3Dpac CS+ compact folding stroller is a steal for families looking for a travel option that is full featured. The seat does not fully recline, but it’s ability to hold a car seat fills the birth to 6 month void a fully reclined seat would offer.